This book will give you an interesting glimpse into a powerful lower-level world, using a series of web development examples. 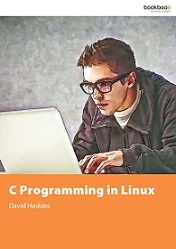 It explains how to write and compile C programs for the Linux operating system. The author introduces operators for manipulating C expressions, functions and structured programming, loop statements, numeric arrays, pointers, strings, memory management, and disk files.